PAKISTAN INDEPENDENCE DAY We congratulate the Pakistani community on their Independence Day and wish them more prosperity in the years to come. 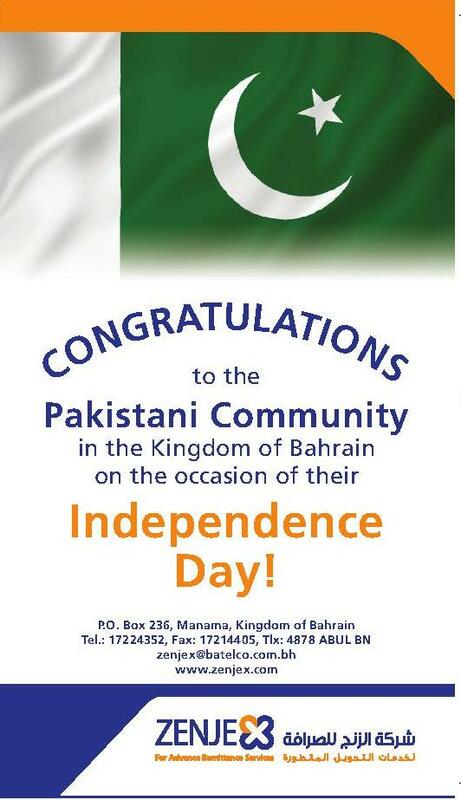 Pakistani Community have continuously patronized and trusted us. EID AL FITR In respect to EID UL - FITR celebration, please note that all of our branches will be closed on 1st and 2nd day of EID. We will resume on 3rd day of Eid. Wishing you all a HAPPY EID MUBARAK!!! RAFFLE DRAW WINNERS FOR THE MONTH OF JULY 2014 Congratulations to the following winners. Send now and be the next lucky winner !